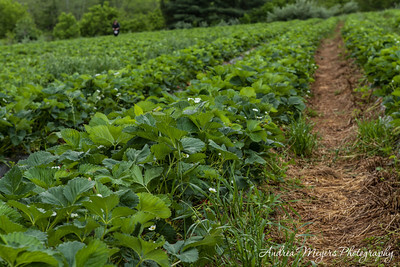 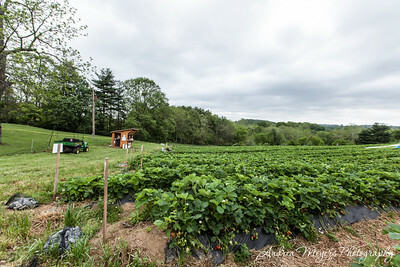 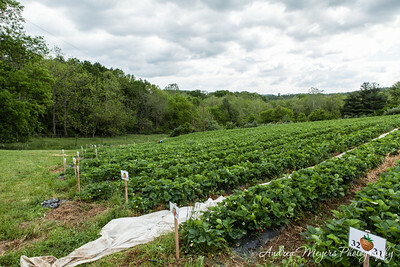 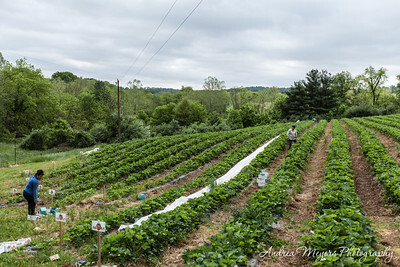 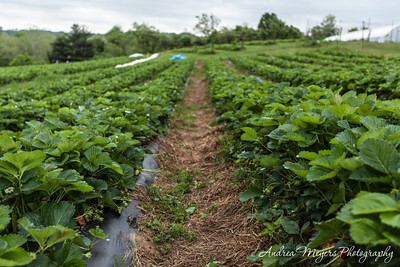 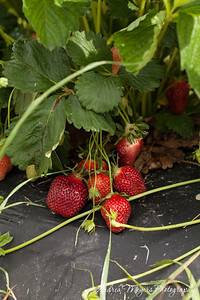 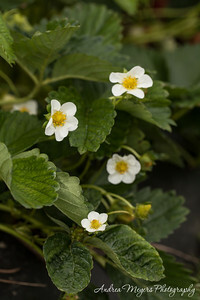 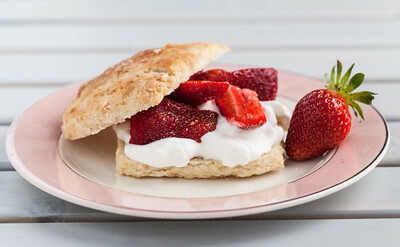 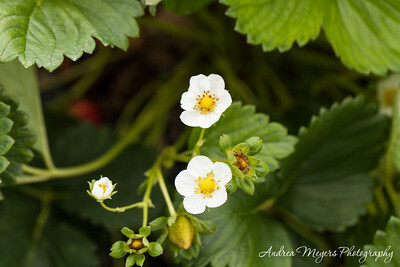 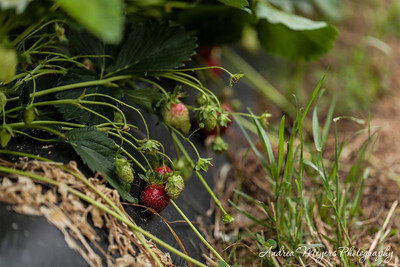 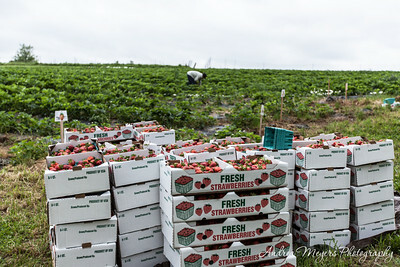 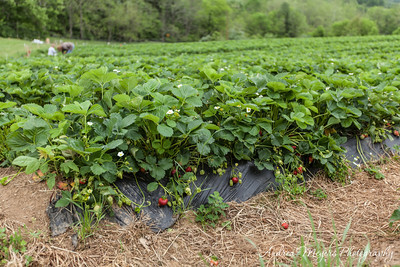 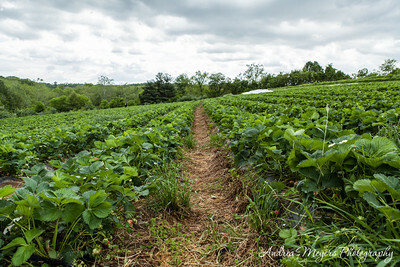 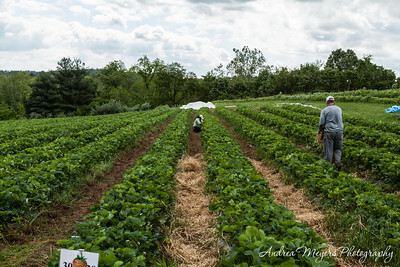 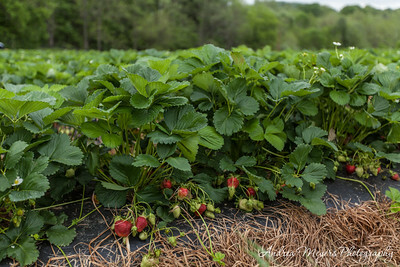 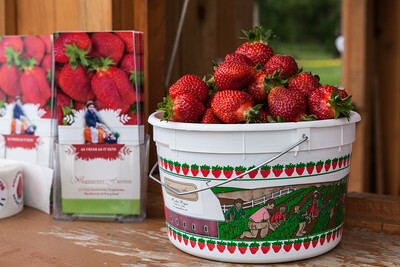 The strawberry field at Wegmeyer Farms is blanketed with plants laden with blossoms and fruit. 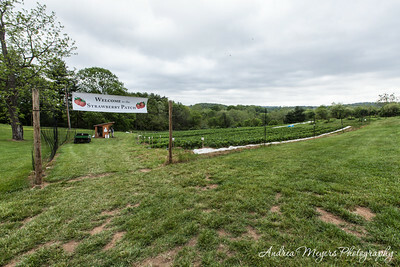 The field slopes down from the grass-covered parking area, and the rows are covered with black plastic to keep the weeds out and prevent erosion. 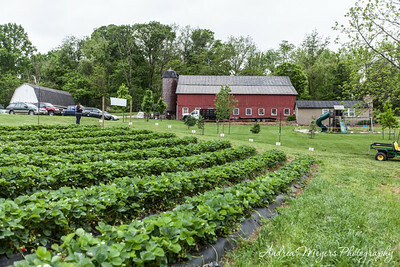 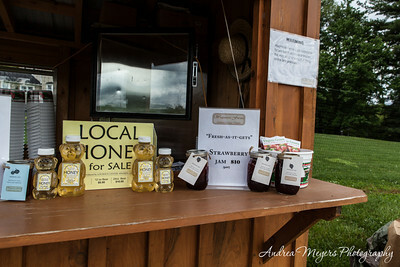 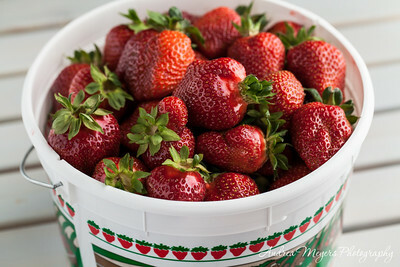 During my visits, workers picked berries and put them in flats destined for nearby Whole Foods Markets, while visitors selected berries and dropped them into picking buckets. 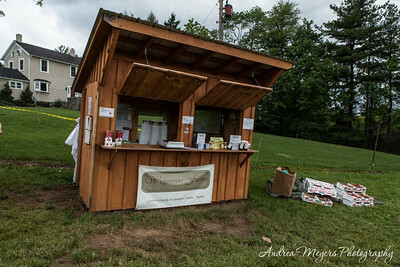 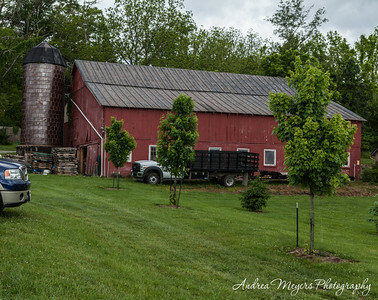 The farm is in a very peaceful area of Loudoun County with beautiful views of the hills, giving me the chance to enjoy the stillness of the cool morning while I worked. 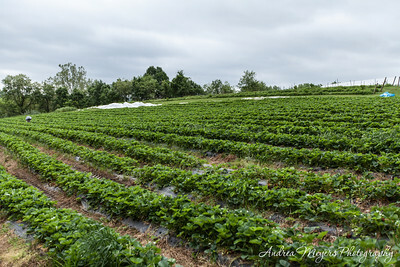 It was a Zen-like experience.